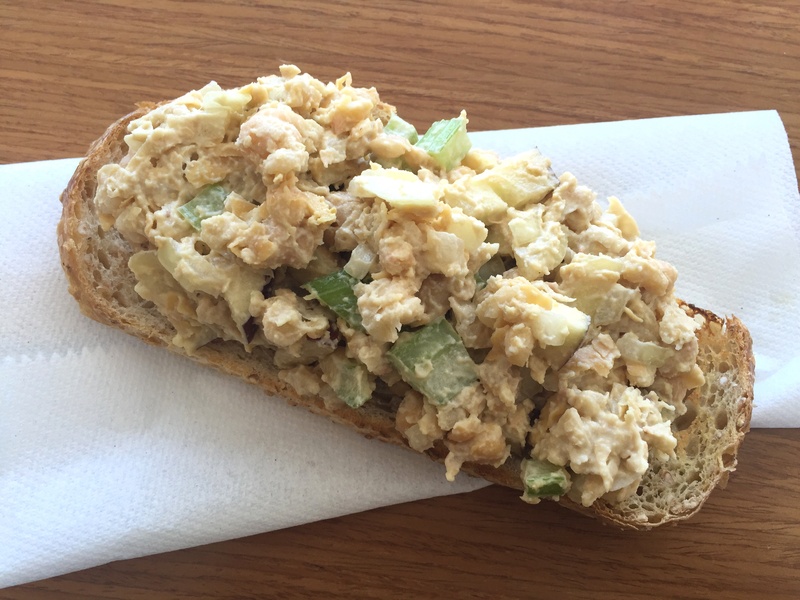 Love this chickpea take on a tuna salad. The nutritional yeast and Maggi were inspired by Veg Annie’s recipe. She uses Bragg’s which tastes very similar to Maggi to me and I love nutritional yeast! I added onions and apple because I love little crunchy things in my “tuna” salad and my recipe is just vegetarian rather than vegan, I love me some Best Foods mayo! Mash up the chickpeas and mix with all the ingredients.